Let’s be honest: It’s not often that a ‘Made in India’ tag makes you stop in your tracks. But if there is one industry where this attitude is changing, it’s beauty. 2018 saw the rise of homegrown skincare brands in a way that could easily challenge the popularity of international bestsellers. These beauty labels understand the needs of the Indian skin, the problems they come with, and offer effective solutions. We found five such brands that are making a noise on the crowded beauty shelves of skincare aficionados. 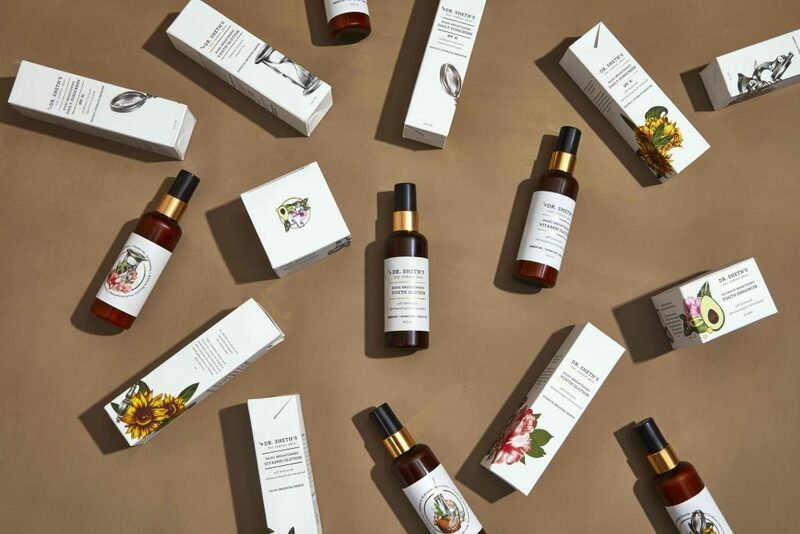 Skincare solutions for the socially-conscious – that’s what this label lives by. Mother-daughter duo and co-founders Shonali and Karishma Bedi gave shape to their love for skincare by creating this organic brand that is natural, eco-friendly and cruelty-free. On offer are body scrubs and butters; face oils, creams and washes; and de-stress and massage oils, which are already popular with those who need pampering. We were impressed by the brand’s toxin-free Moonshine Illuminator, the only makeup the label has at the moment. What To Buy: The Time Freeze Face Balm, their newest offering containing sweet almond oil and cocoa butter, is a restorative face salve that works while you sleep. 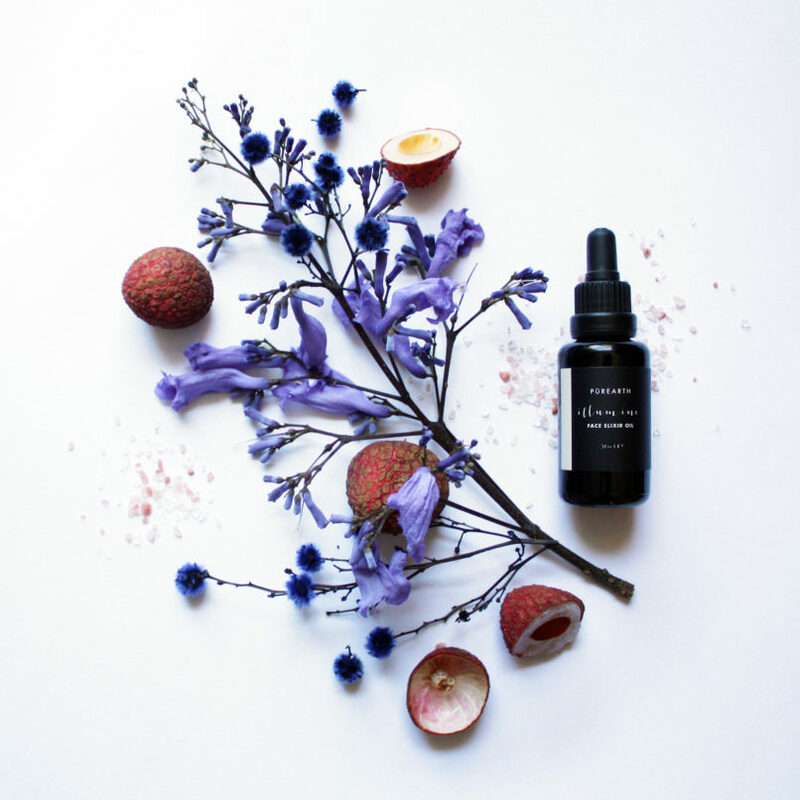 This 100 percent natural and organic luxurious skincare and wellness brand is all about plant-based ingredients, whose cultivation, oil extraction, formulation, bottling, packaging, shipping, and marketing is done in-house. 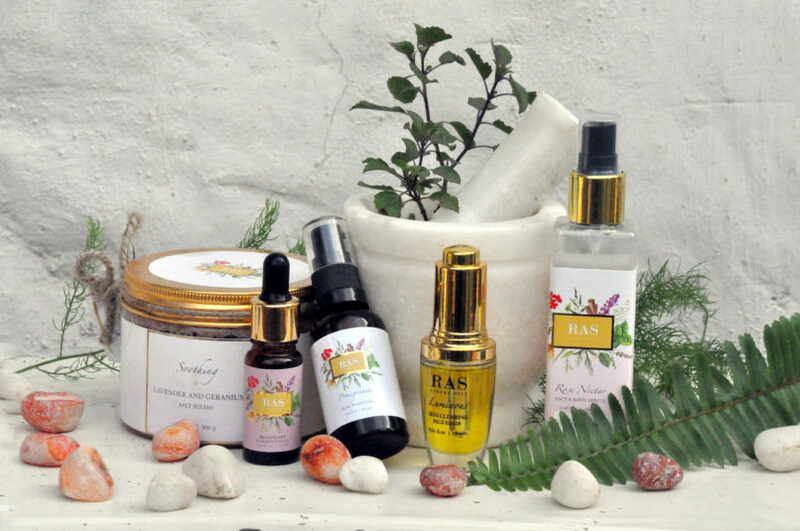 Fusing ancient Ayurveda and Aromatherapy with modern science in their formulations, the Raipur-based PETA-certified vegan and cruelty-free label is positioned as the first farm-to-face venture in India. Hand-blended in small batches with high frequency mantras and chants, RAS also supports marginalised farmers by eliminating middle men and is actively involved in supporting animal welfare & women empowerment NGOs. What’s more? Their hand-blended face and body oils, body polishes and spritzes have found a place in the luxury spas of hotels like St. Regis, Grand Hyatt, Shangri-La and more. What to Buy: The Radiance Beauty-Boosting Day Face Elixir is their bestseller. Its beauty-boosting blend of rose, geranium and sweet orange makes the skin glow and makes for a great makeup base as well. 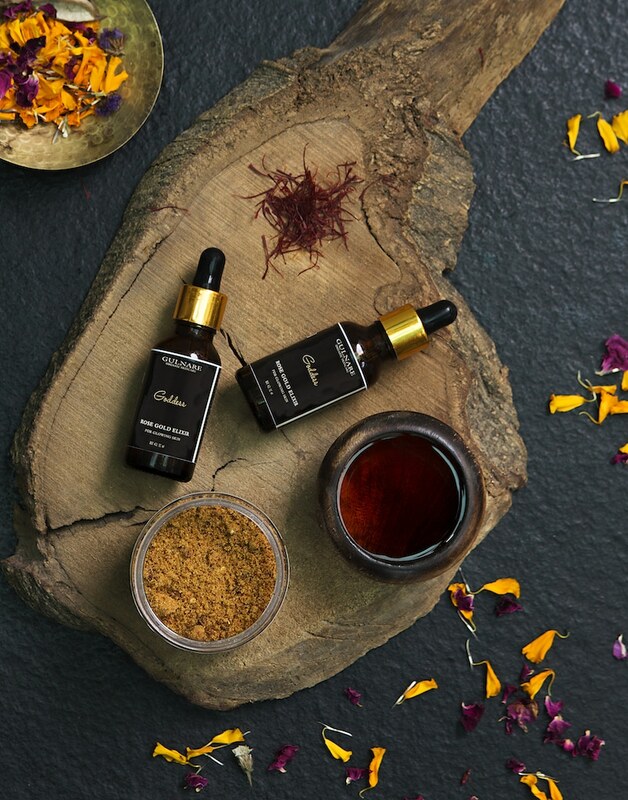 Luxurious ayurveda is a growing trend that brands like Kama Ayurveda and Forest Essentials already have a lead on. The latest to join the ranks is Ohria Ayurveda. The label boasts formulations based on ancient recipes and free of harmful chemicals, toxins, preservatives and fragrances. 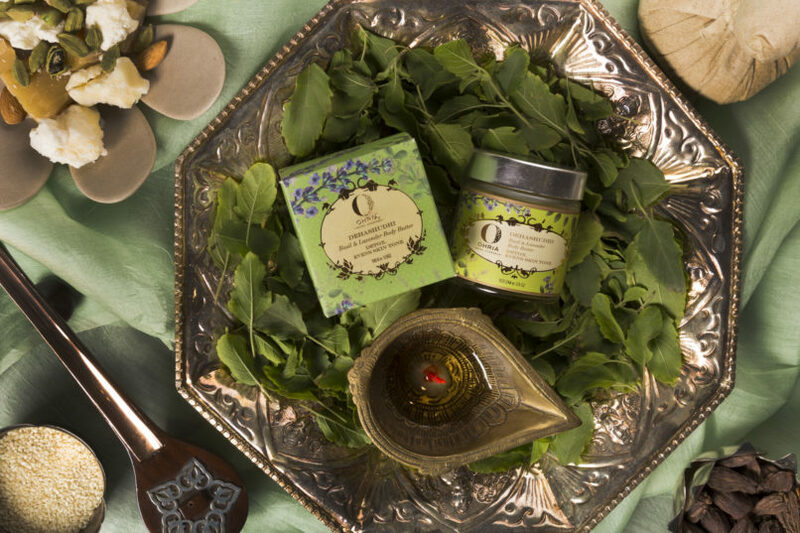 Think of Ohria as a superfood for the skin and hair – its bathing bars, mists, moisturisers, serums, facial cleansers, body lotions and washes come drenched in Ayurvedic herbs, essentials oils and plant extracts. What to Buy: The Basil & Lavender Beauty Butter, which can be used pre-bath to detox the skin and give it an even tone. Founded in 2012, this artisanal skincare brand supports fair trade, income generation for grassroots producers and marginalised women. Their exhaustive ingredient list is harvested from the Himalayas, and includes nutrient-rich botanicals and flower essences. As a result, its soaps, serums, cleansers, oils, mists and masques feature no artificial ingredients. Furthermore, the brand’s French Violetglass bottles only allow violet rays through, which preserve the bio-active energy of these ingredients. What to Buy: The Mitti Clay Face Masque is hand-churned in small batches and infused with oils of rosa damascena, frankincense, sweet orange and ylang ylang. An amalgamation of Ayurveda, botanicals and Western medicine, this vegan label comes with the legacy and expertise of three generations of doctors: Dr Sharat Desai, Dr Rekha Sheth and Dr Aneesh Sheth. The emphasis is on products without any harsh chemicals or toxins, for example the Basic Brightening Extra Gentle Daily Peel, which comes with the power of glycolic and lactic acids to calm and brighten the skin. The brand’s sunscreen and Antioxidant Repair Cream are also big favourites. What to Buy: Dr. Sheth’s Basic Brightening Vitamin Glotion features several effective ingredients like mulberry extracts, vitamin E, almond oil and grapefruit.